Aside from the launch of Japan’s HTV, it was supposed to be a fairly quiet week in the space arena. After endless bickering over a major budget differences, the U.S. Congress thankfully went on recess until September 9th, leaving NASA to celebrate in relative peace the one year anniversary of the Mars Science Laboratory’s perilous descent and arrival on the Red Planet, dubbed “Seven Minute of Terror ” even as major questions about the nation’s space program have yet to be resolved. 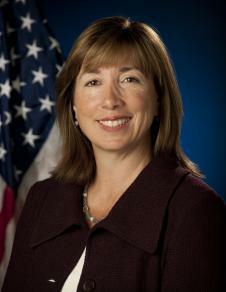 So it came somewhat as a surprise that NASA Deputy Administrator Lori Garver officially announced her resignation from the agency on the same day August 6th, following leaks the previous evening. After four years of serving as one of NASA’s most visible, and arguably most influential individuals to hold her position, Garver is leaving the space industry (for now) in order to take a position with the Air Line Pilot’s Association, the union which represents U.S. and Canadian commercial pilots. Having worked on Hillary Clinton’s campaign in 2008, it is perhaps a safe assumption that if Clinton wins the Presidency in 2016, Garver would be a leading candidate for the position of NASA Administrator. In the often bizarre world which sees Republicans fight tooth and nail against “commercial space” and anything which poses an entrepreneurial threat against established contractors, Garver, whose husband Dave Brandt manages Lockheed Martin’s Space Experience Center in Arlington, Va. has been a tireless and enthusiastic advocate for both NASA’s COTS/CRS and Commercial Crew programs as well as an expanded role for “NewSpace” within the context of NASA programs in overall. For some, Garver’s tenure with the agency will be more closely associated with the Obama Administration’s decision to cancel Project Constellation following a bleak assessment of its budgetary future by the Augustine committee in 2009, and as such she will get either the credit or blame depending on one’s perspective. A number of names have already surfaced as possible successors, but with any nominee subject to open questioning regarding NASA policy, the leading name could very well be “vacant” for some period of time.